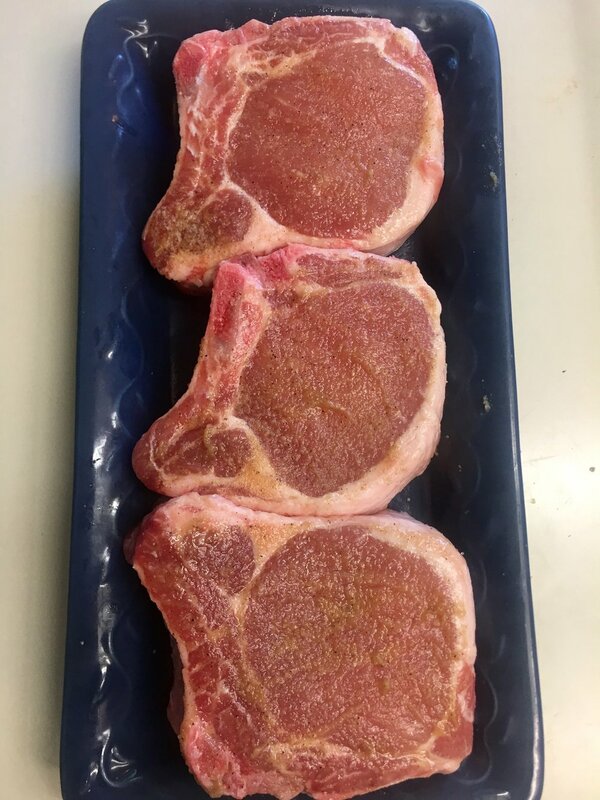 Picked up some nice thick bone-in chops. 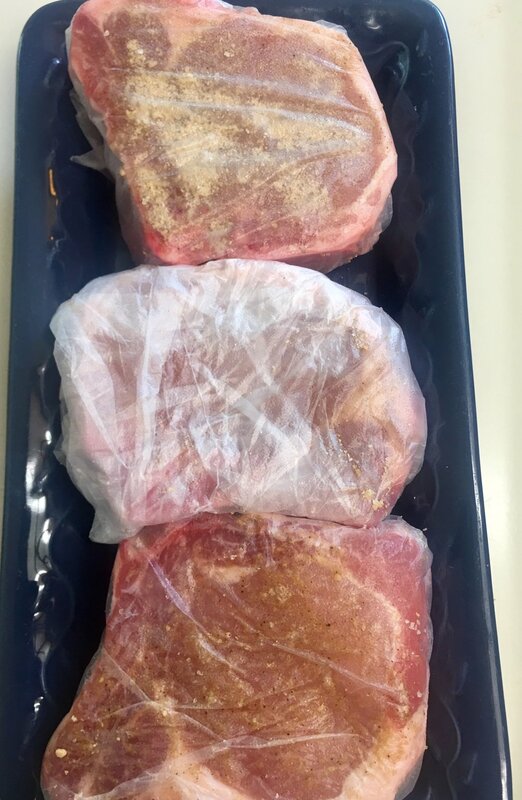 Hit them with some Naturiffic Harvest Brine and wrapped them tightly in plastic wrap. Unwrapped after about 2.5 hours. 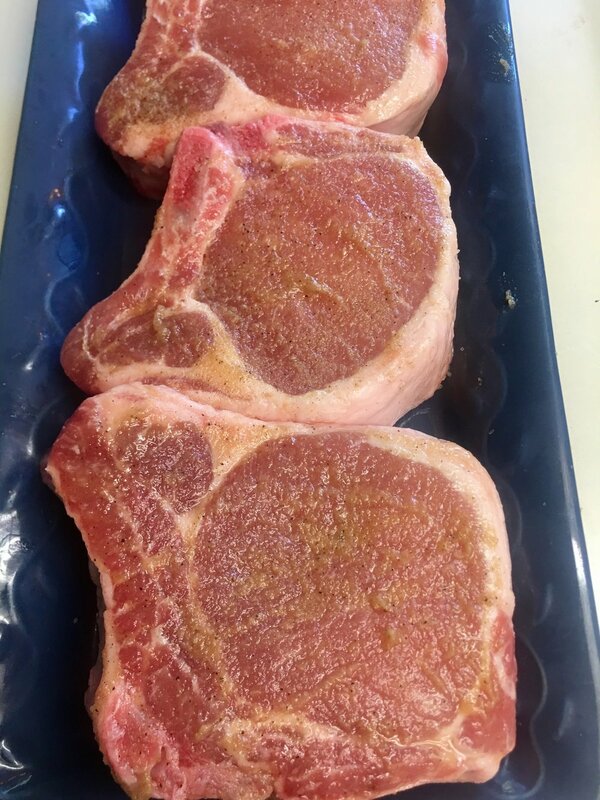 Cooked for two hours until they hit 140, them onto the pre-heated Blackstone griddle for a hard sear. Served with a homespun Prosciutto and Chickpea Pasta salad and Honey & Thyme Baby carrots.